It's a period of change for Doctor Who fans, with Peter Capaldi (The Doctor) gearing up to say goodbye to the series after four years in the role. 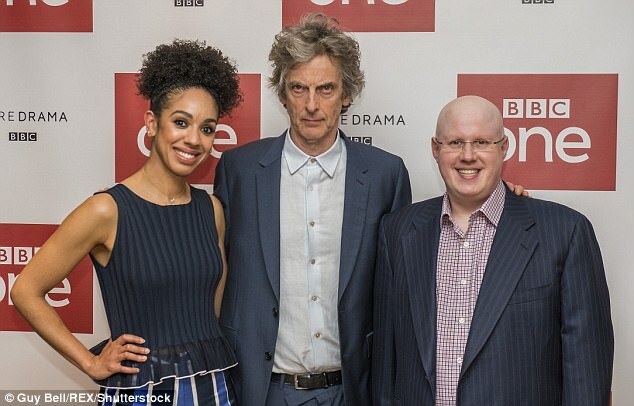 But the star seemed in great spirits at the photocall for the 10th and his final series as he joined his new assistants Pearl Mackie (Bill Potts) and Matt Lucas (Nardole) on Tuesday. Also beaming - despite claims she could be axed from the show after just one season - was Pearl, 29, who looked effortlessly chic in a navy ensemble. Showing off her tiny waist, she donned a peplum top with a sheer hem that clung to her incredible figure. She teamed the garment with a striped palazzo pants that skimmed the floor as she walked and elongated her modelesque frame. She finished off the look by styling her chestnut locks in a chic topknot, with the curls cascading past her pretty features. 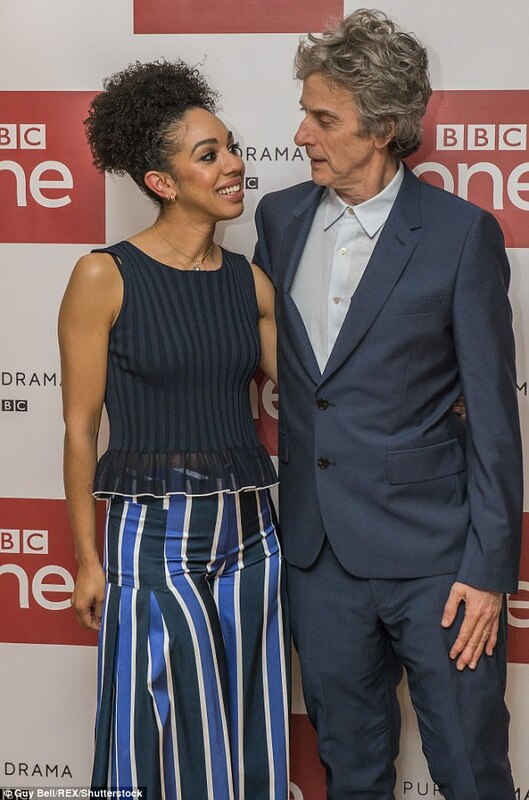 Her outing came amid reports she will only appear on the cult show for one season and is set to leave with outgoing Time Lord Peter at Christmas. Bosses have decided that Peter's exit offers an opportunity to recast the show and Pearl will not make the cut, according to The Sun. 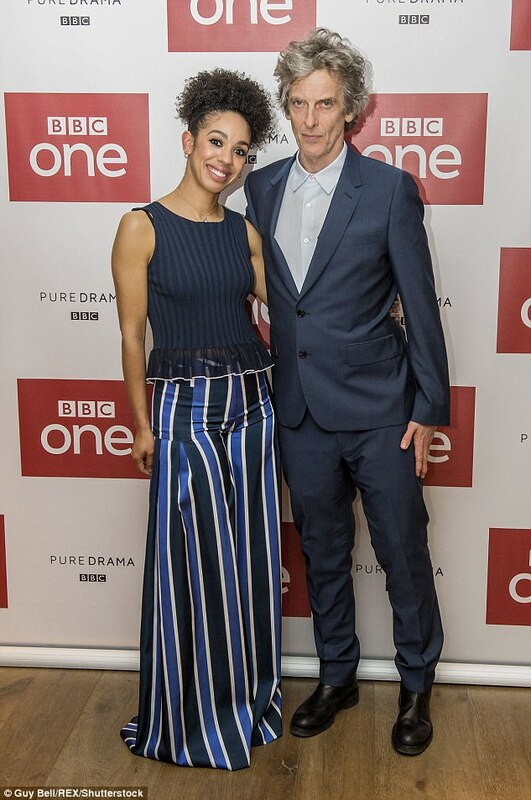 The decision is believed to have been made by the BBC and Broadchurch writer Chris Chibnall, who replaces current showrunner Steven Moffat after this series. A source told the paper: 'Bosses have decided to have a completely fresh start. 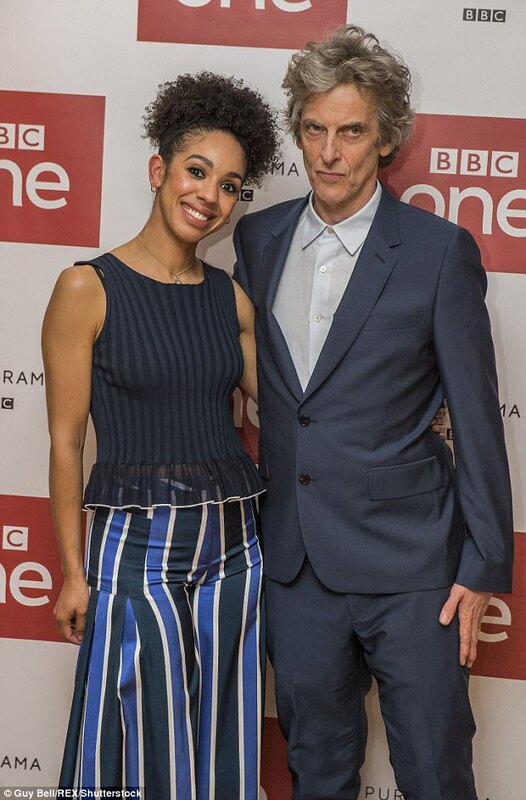 The news comes as a shock just days after the BBC unveiled Pearl's character, Bill Potts, as the first openly gay companion in the show's history. 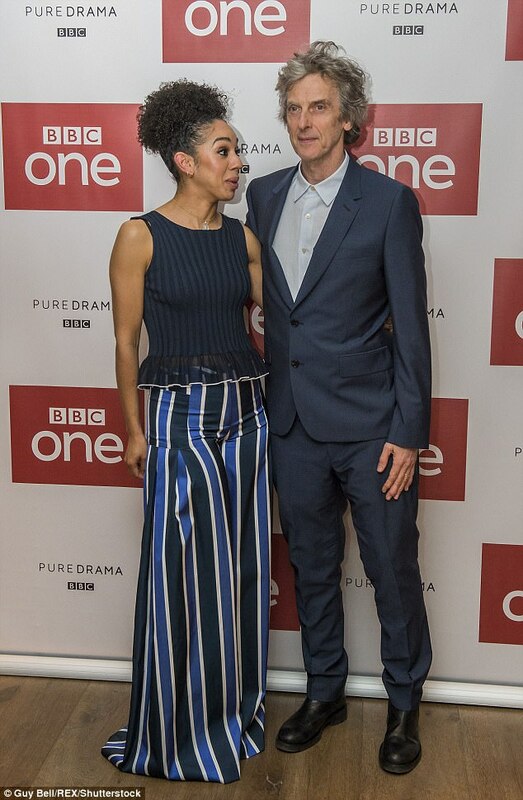 Bill's sexuality is going to be revealed in her second line of dialogue when the hit show returns to the BBC later this month. Talking to The Guardian, Pearl said: 'It shouldn't be a big deal in the 21st Century. It's about time, isn't it? That representation is important, especially on a mainstream show. 'It's important to say people are gay, people are black - there are also aliens in the world as well so watch out for them. 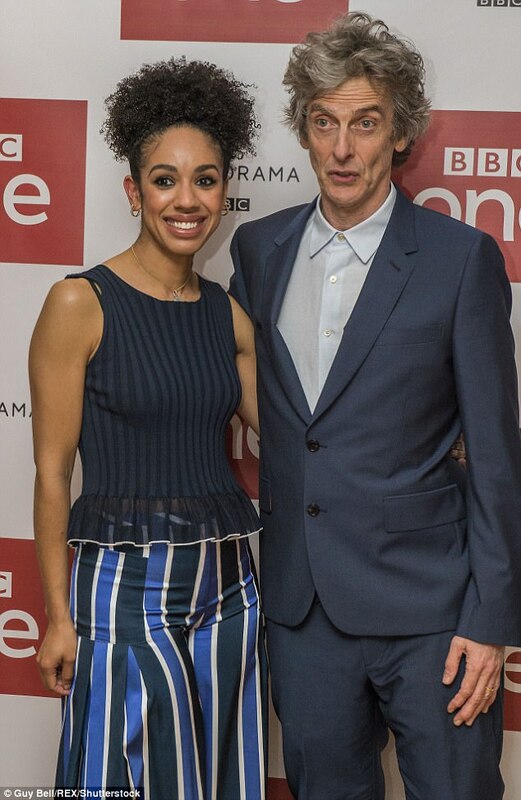 She was announced as the new companion back in April 2016 and has likened her appointment in the role to being 'welcomed into a family'. The actress told the BBC: 'My Twitter follower count went from 400-and-something to 16,500 in about two hours, so that was pretty mental. Doctor Who returns to BBC One on Saturday April 15.